For more information about the Investment Partners Program, please contact us at (320) 253-4380. The Foundation invests the assets of funds so that the earnings and appreciation can be used for future grants. The assets of each fund will be combined with other funds of the Foundation for investment purposes. The Foundation currently offers a strategic (balanced) pool, a moderately conservative pool, a socially responsible pool and a money market investment option--and donors have the option of recommending an investment manager through the Foundation's Investment Partners program. Fund holders receive an annual statement of the fund's activity each July after the end of our fiscal year. Quarterly statements are available online via DonorCentral by the end of the month following the end of each quarter (December 31, April 30, July 31 and October 31). View the Latest Quarterly Returns for each investment option. Financial advisors committed to the belief that charitable giving is an important dimension of client services can now partner with CommunityGiving through the Investment Partners Program. The program helps advisors assist clients with their charitable giving goals by connecting their clients with CommunityGiving's charitable giving planning services and knowledge of community needs and local nonprofit organizations. 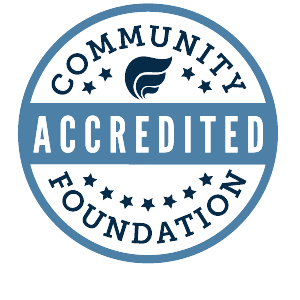 Clients who establish a fund at the Foundation may recommend that CommunityGiving involve their partnering advisor in the management of the fund's assets.